Honda's sponsorship of the Toronto stop of the IndyCar circuit features several events and displays. 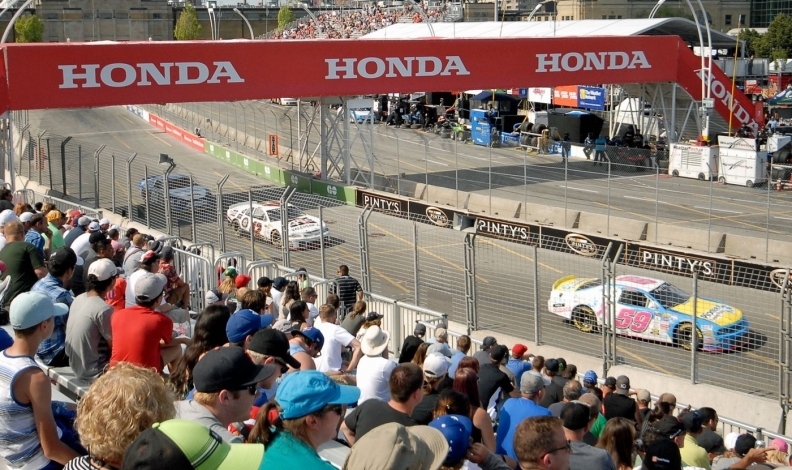 Honda Canada has extended its sponsorship of the Toronto stop of the IndyCar race series through 2020, the automaker and race organizers said in a statement. Honda Canada has been the title sponsor of the race since 2009 when Green Savoree Racing Promotions relaunched the event with the IndyCar Series. The 2018 Honda Indy Toronto will mark Honda’s 10th year of partnership. The partnership will continue to allow Honda Canada “significant brand presence on site via signage on and off the race track and vehicle displays,” the automaker said. “Honda Canada’s commitment has been tremendous. We have really focused the last few years on creating an experience appealing to families, and Honda has been phenomenal in helping us accomplish this ambition,” Honda Indy Toronto President Jeff Atkinson said in the same statement. IndyCar first ran a Toronto race in 1986. It has been raced in every since, except in 2008.